Houses and Villas with sea view and at the seafront! 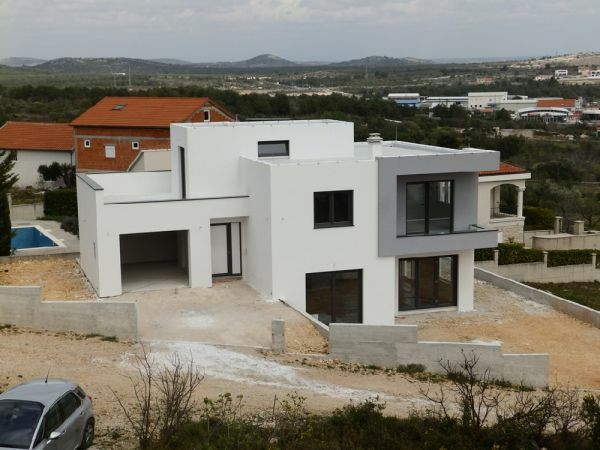 We are looking for properties according to your wishes in Croatia! Flats and apartments with sea view at the Croatian coast line. ... our Scouting-service, which means that we are actively searching properties for you in all areas of Croatia. Only if you buy the property found by us, we will charge the regular broker's comission of 3 % + VAT - if we don't find a property for you - our service is for free. 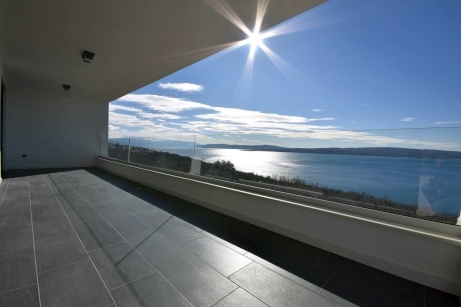 Panorama Scouting searches properties according to your specifications in all regions of Croatia. On our website we only offer objects directly at the seafront and / or with sea view. 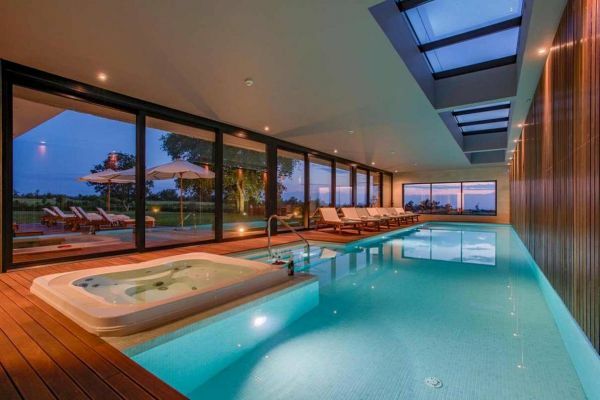 We just show here a selection of attractive properties, however we have access to an enourmous pool of real estate properties of our partners in Croatia. We crawl this "pool of properties" according to your criteria and try to find a properties that match your criteria. Of course we will not charge you an extra fee for our search services. You only pay the regular brokers comission once we have found the right property for you and you have signed the purchase contract with the seller of the house. If we do not find something suitable for you, our service is free! If you can not find the right property for you on our homepage - contact us without obligation - just describe your dream home! 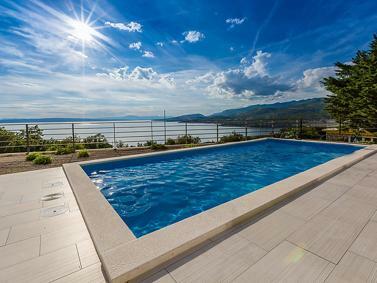 We find properties in Croatia according to your wishes! Sea view or seafront property - is not that important for you? Contact us - of course we have a number of properties also without sea view on our sleeve, we just do not publish them here on the website. We will try to find something suitable for you! Who would not dream of an own property at the water's edge - preferably with private beach, swimming pool and sun terrace? 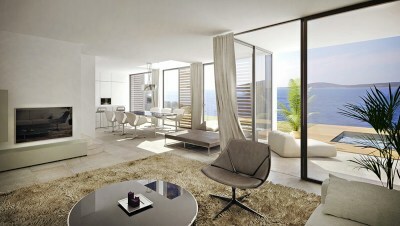 Much of this is possible - we offer a wide range of a properties in Croatia in the first or second line by the sea. Speaking about the privacy of a beach, we should bear in mind, that in Croatia -as a general principle - there is public access to all seashores. 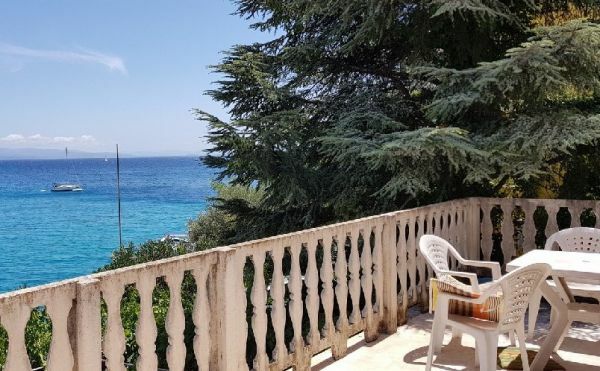 However, there are geographically-related characteristics that make beaches of some properties very "private" - also there are owners (Croatian and foreigners) who are placing signs or barriers to keep accesses to 'their' beaches as private as possible. Also, every owner of a property close to the sea should be conscious to take some salt-eliminating measures from time to time. Obviously we have also to take into account the property's position relative to the sea level - less because of the tides, but more because of the wind and waves, particularly in the winter months. As Panorama Scouting's concept consists in offering you properties with panoramic sea view, it goes without saying that we have many objects - apartments, houses, villas and land plots in the first row to the sea. Just have a look at and enjoy our offer! 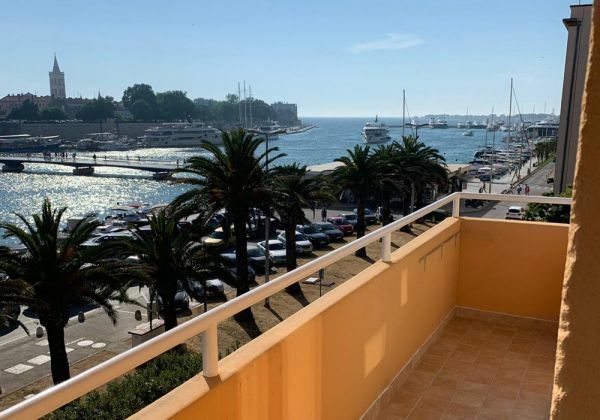 You are looking to own a flat or an apartment in Croatia? 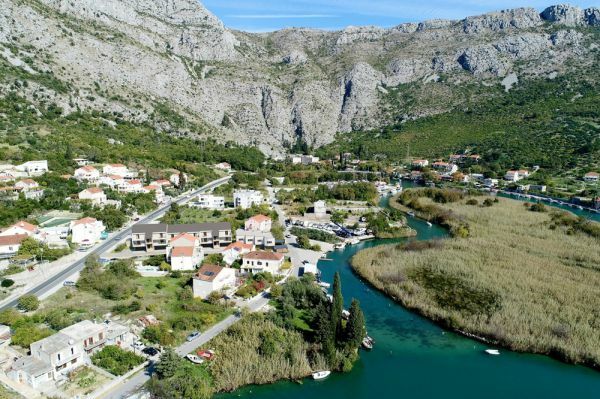 it is really attractive to buy a house or an apartment in Croatia. 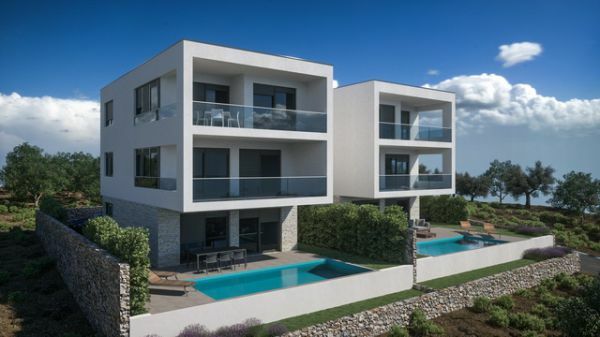 - especially for those investors or private persons who are looking to avoid the extremely high prices for real estate in their home countries. 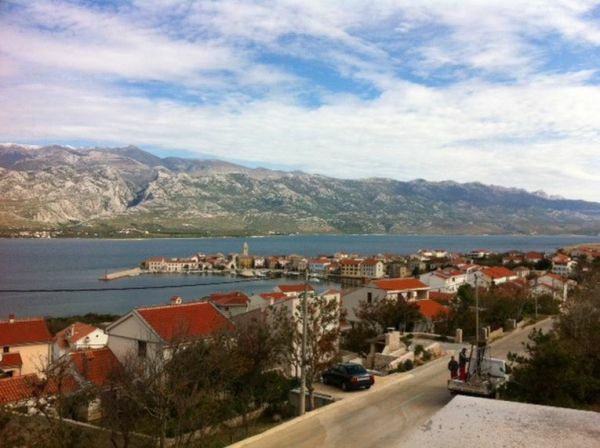 Properties with sea view and a seafront location are the trend in Croatia and will probably increase value steadily. Croatia is a member of the European Union, the medium and longterm economic outlook is good. Istria - the largest peninsula in the northern Adriatic - is one of the most popular tourist destinations of Europe. It's not only because of Istria's long coastline (537km), or due to the proximity to Italy, Austria and Germany and its pleasant climatic conditions - Istria attracts many tourists with approximately 2380 hours of sunshine per year. The summers are neither too hot nor too dry in Istria, the winters offer rather mild temperatures, especially in the coastal regions. 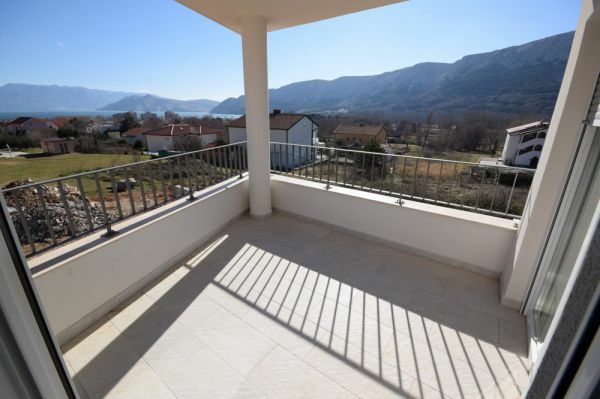 Demand for real estate in Istria is increasing from year to year. You can find all our properties in the region of Istria using our search on the top of the website. 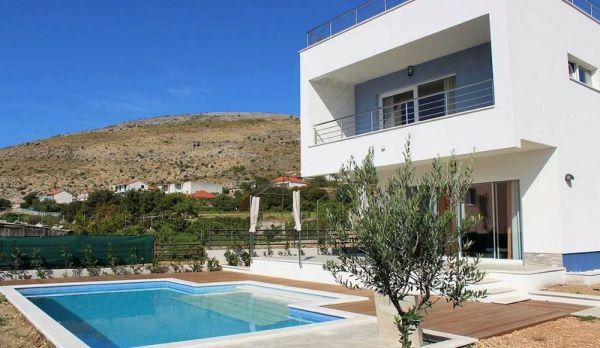 You consider owning a house or a villa in Croatia? We might be in the right position to help you. 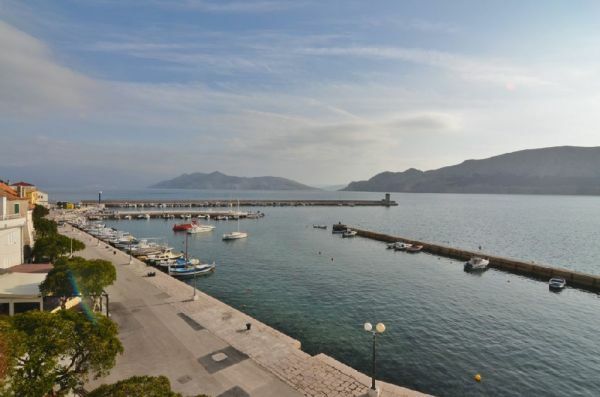 You will find properties in all price ranges in our offer - all of them with sea view and at the waterfront. If you should not find a suitable property in our offer, just contact us and tell us about your 'dream home'. 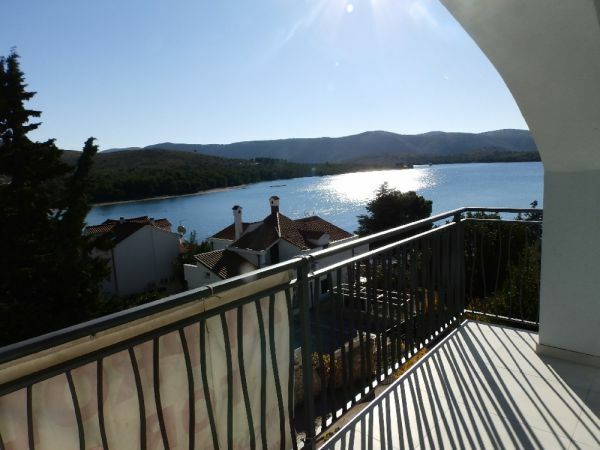 We have many properties in Croatia from our partners that are not (yet) published here. Contact us also it you are looking for an object that does not necessarily need sea view - we have also clients who are just looking for a home that is not too far from the sea! 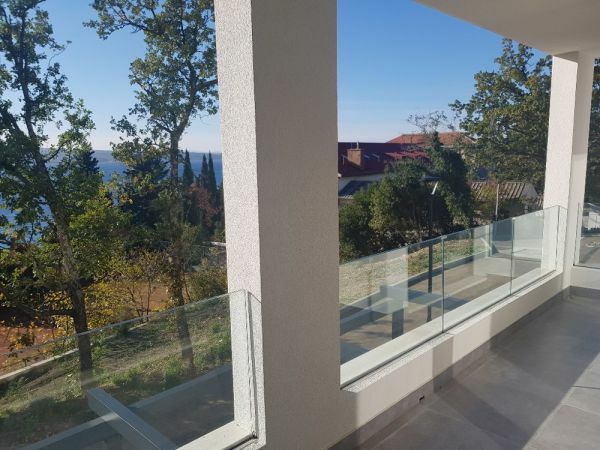 As outlined above, we have access to an enormous pool of properties of our partners in Croatia - with numerous very interesting properties without sea view, that however can be very close to the sea!